Campus Directory vCard Addon helps you share faculty and staff business cards easily. vCard is a file format standard for electronic business cards. vCard Addon allows to save faculty and staff information as vCard which can be exchanged in many ways. The generated vCard includes staff name, photo, address, email, phone, social profile links and more. 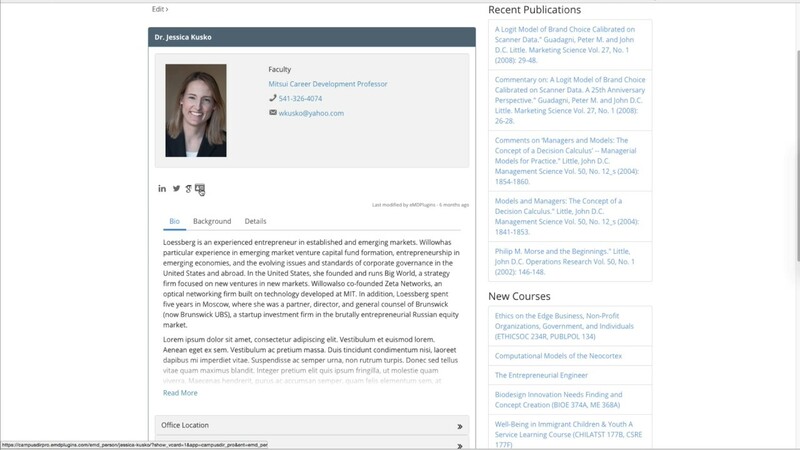 Once vCard addon is activated, vCard icon is displayed next to the social icons in faculty, staff and student profile pages. Better communication leads to better results. Get started Now! Sign up to get Campus Directory news and updates.